I love the holiday season— All the lights and decorations make me feel all warm and fuzzy! I honestly wish I could bottle that feeling up and make it last for the whole year. One of my favorite parts of the season is making homemade gifts for friends and relatives. In addition to buying presents, I like to send a little something that was made with love to show how much I appreciate each and every person in my life. 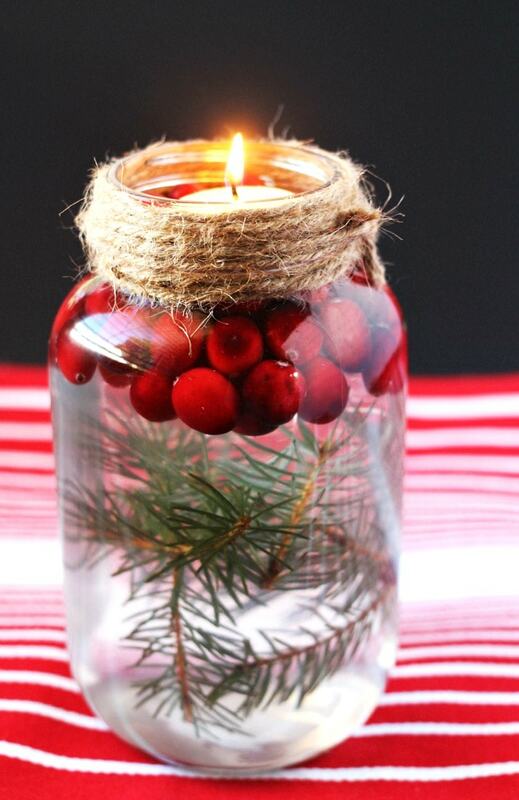 This year I decided to make a beautiful cranberry pine mason jar floating candle, which smells divine with the addition of essential oils. These jars are so easy to put together and really look amazing when lit. The size is very generous, too— using a half-gallon sized mason jar. If using essential oils, select a single or holiday blend. Some of my favorites for this floating candle are cinnamon, clove, sweet orange, peppermint, pine and cedarwood— but any scent could be used. Twist your length of twine around the top of the mason jar, covering the entire lip. Secure by tying, or by adding a small dab of hot glue. Trim the ends off of your twine. Fill the mason jar halfway with water. 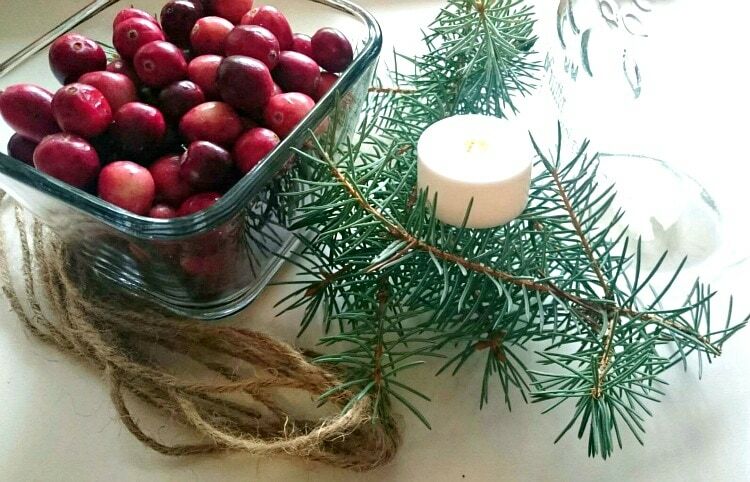 Arrange the pine sprigs, as desired. 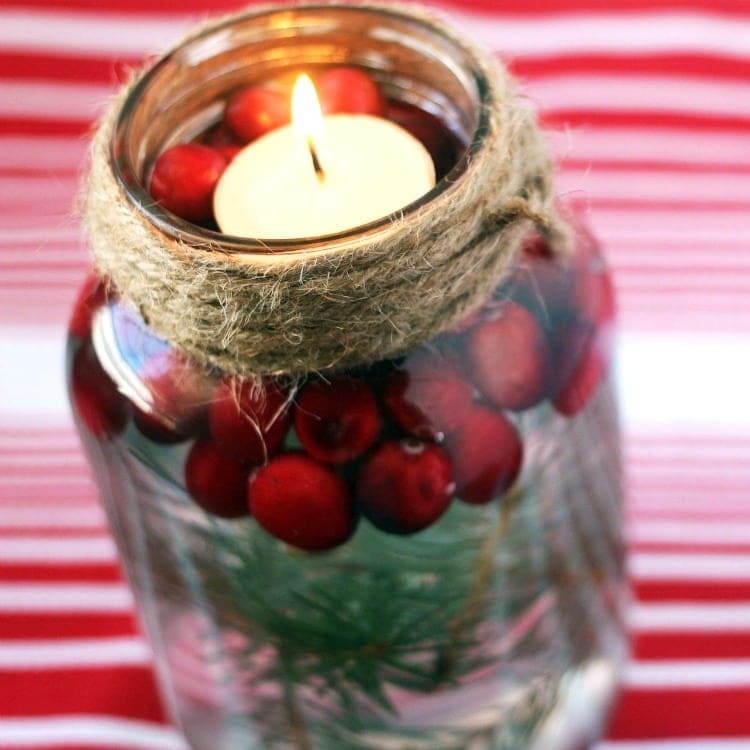 Fill the mason jar to the 3/4 full mark and then add the cranberries or beads, and nestle the floating candle securely in the cranberries. 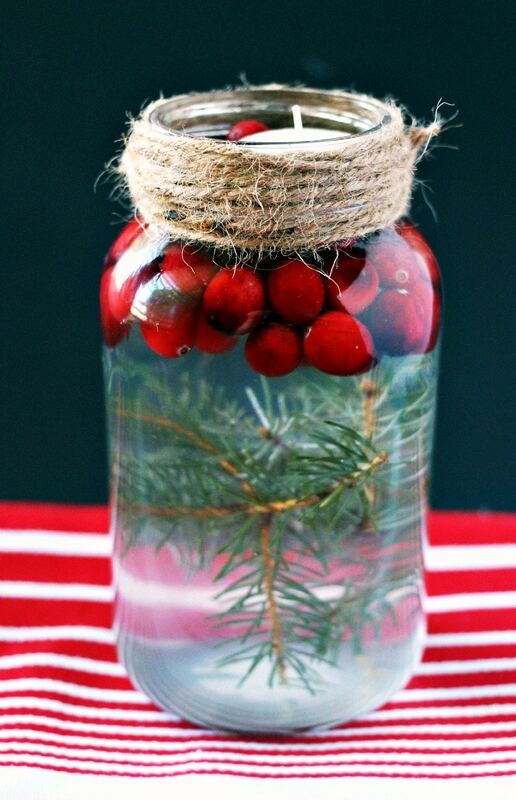 If you are planning to gift your jar, glue the twine around the lid and omit the water.